The Museum of Cretan Ethnology has undertaken the promotion of traditional Cretan society. You can take a tour through the museum on the internet. 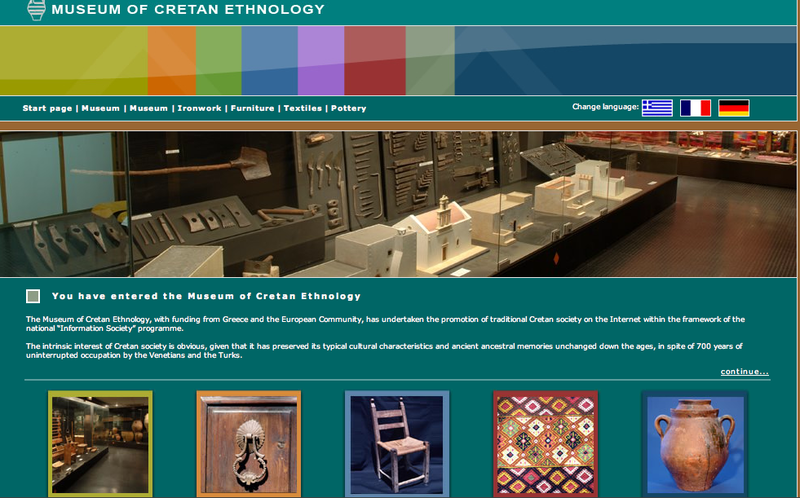 "The intrinsic interest of Cretan society is obvious, given that it has preserved its typical cultural characteristics and ancient ancestral memories unchanged down the ages in spite of 700 years of uninterrupted occupation by the Venetians and the Turks.